By now you know that Ivy Bridge (due out in March - April of 2012) will be backwards compatible with some 6-series motherboards. The CPU itself has a PCIe 3.0 controller on-die, however MSI tells us that without modifications to existing motherboard designs you won't be able to properly support the 3.0 spec. 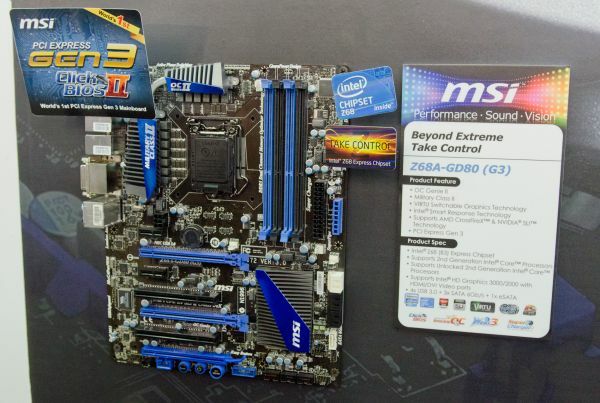 MSI's Z68A-GD80 (G3) features new circuitry and switches between the CPU socket and the x16 slots that will apparently allow the motherboard to operate at PCIe Gen 3 speeds. The problem seems confined to the switches that motherboard makers use to automatically divide the 16 PCIe lanes coming from the CPU into 1 x16 or 2 x8. MSI claims that when Ivy Bridge comes out, the Z68A-GD80 (G3) will be fully PCIe Gen 3 compliant. 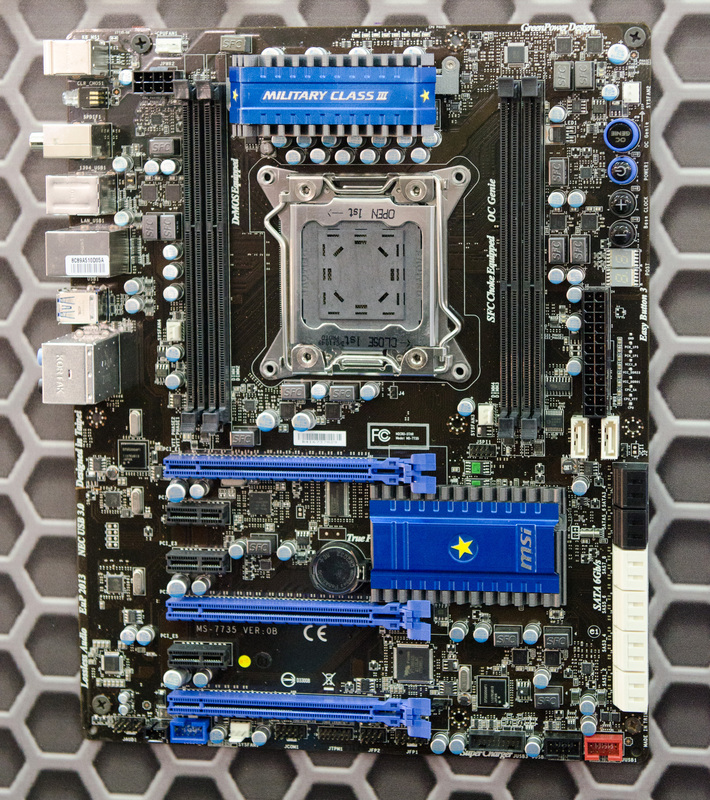 Of course MSI had a Socket-2011 X79 motherboard on display in addition to a pair of Socket-FM1 Llano boards. I'm hearing late summer for the desktop Llano launch at this point. Those of you waiting for Bulldozer performance results from Computex, I'm afraid we're not going to see anything representative of final hardware. I did hear that the upcoming B2 stepping would restore performance to Bulldozer's original targets, however it's unclear how those compare to Sandy Bridge. The other thing I did hear at the show floor regarding Bulldozer was about its clock speed. Current B1 stepping parts are easily hitting 3.8GHz which is what the high end SKU may actually ship at (with turbo support up to 4.2GHz). I'm waiting for more confirmation but it sounds like Bulldozer will at least clock very high. Anand, do you heard anything about AMD Interlagos processors?